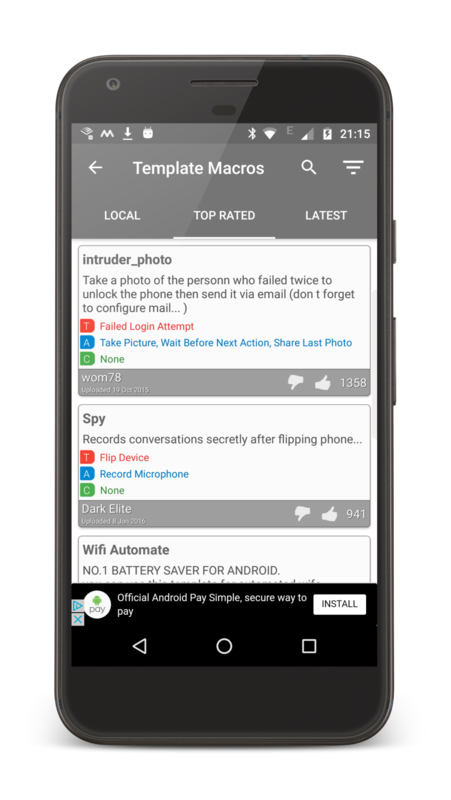 Make your phone truly smart with the easiest to use automation app on Android. Choose the trigger which will make your macro run. There are over 65 to choose from, such as day/time, incoming SMS and battery level. Setup one or more actions that you want to perform in your macro. There's well over 100 things you can do and examples include sharing your location, sending an email and speaking some text. Only want your macro to run when plugged in? No problem, just add a constraint. There's over 50 to choose from. 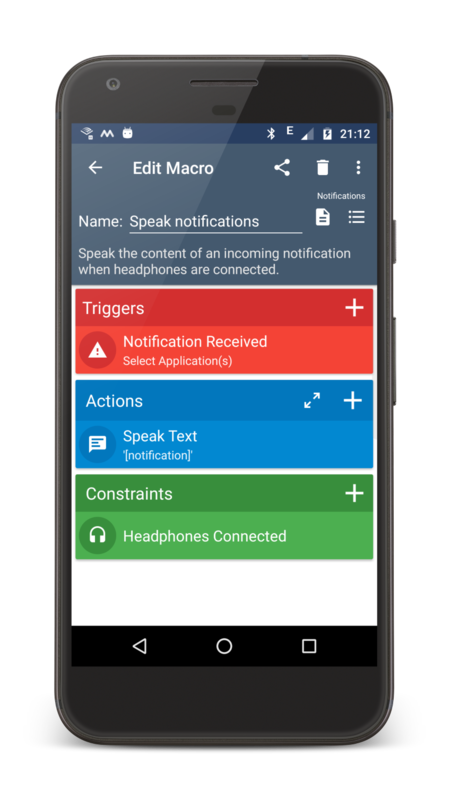 Simple and effective colour coding means you'll never mix up your SMS trigger with your send SMS action. Tweak your macros in the easy to use edit screen, add or remove features and configure to your hearts content. Explore a range of built in and user uploaded templates to discover the true power of MacroDroid. If you're proud of what you've built upload it to the template store and share it with the community. Rate any template with a thumbs up or thumbs down to help the greatest templates rise to the top. Keep on top of your macros with easy organisation tools. Add your macros to one of the built in categories, or create your own categories to suit your needs. Colour code macros and categories to make them visually identifiable. Add descriptions to your macros and use the search feature so you can always find the macro you want. MacroDroid is designed and built independently by a team of one. 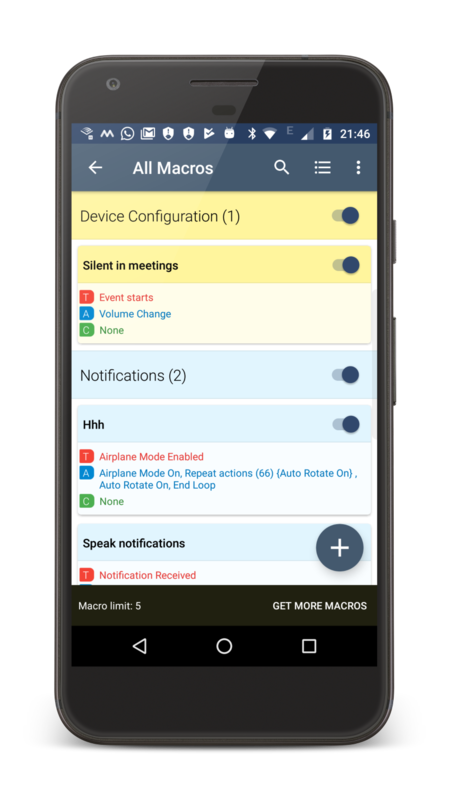 MacroDroid App. All Rights Reserved.